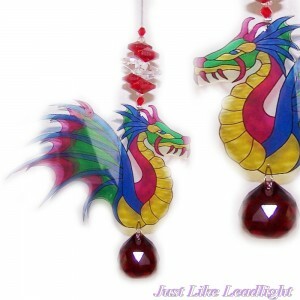 Handmade dragon suncatchers designed and created by Justlike leadlight. 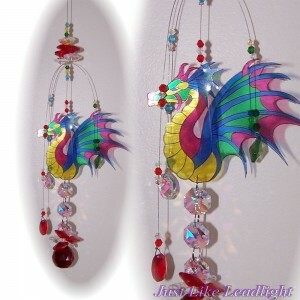 We offer a large range of crystal suncatcher designs made with a huge selection of crystal spheres, pendants and prisms. Hang these crystals in a sunny window to capture the light and you get get an explosion of rainbows around your room. More new designs to be added soon. Choose from 6 colours as pictured or buy the whole set. 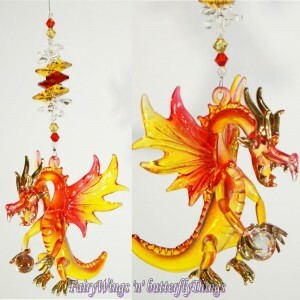 Each dragon suncatcher has a 20mm crys.. 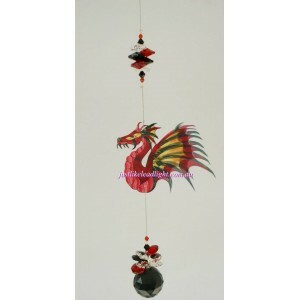 Choose from 6 colours as pictured Each dragon suncatcher has a 30mm crystal sphere on the..
Approx Length, 20-25cm Cluster of 7 red and AB crystals 3 crystal drop strands in red, green and Ab ..
Gorgeous blown glass dragon wing span approx 8.5cm. 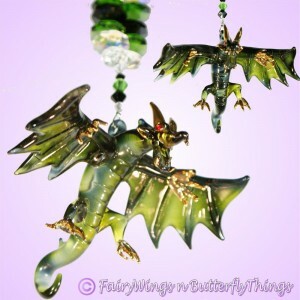 The completed suncatcher is approx 15-20cm in ha..
Gorgeous blown glass black/green dragon. wing span approx 8.5cm. 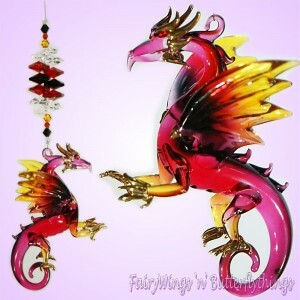 The completed suncatcher is approx ..
Gorgeous blown glass dragon wing span approx 8.5cm. The completed suncatcher is approx 15-20cm in ..